Using a tire pressure monitoring system for your RV can give you the same benefits as the one you may have in your car. Tires that are not inflated correctly can lead to problems including flats or blowouts. Experiencing a blowout while driving could become a dangerous situation if you are unable to maintain control. 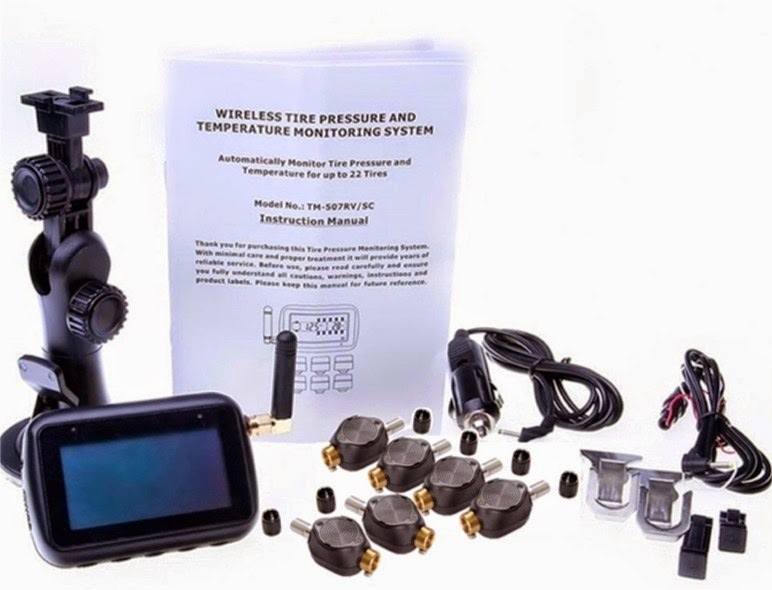 Of course, a tire pressure monitoring system should also be able to give you the most up to date results, so you are always aware of the current state of your tires. This TST Tire Pressure Monitoring System has the ability to provide you with current information. The sensors can transmit the temperature and pressure of up to 22 tires every two minutes. In the event that the tire is in danger of deflating, the sensors can give you continuous updates until the tire pressure is corrected or goes back to normal. When a tire does become under-inflated, both audio and visual indicators will alert you to the situation. The batteries are similar to watch batteries, and can be changed about once a year without having to replace the sensors. The flow through style of the sensors allow you to inflate the tire without needing to take them out. This monitoring system is removable, so you can conserve battery life while your RV is in storage. Depending on where you live, this system can report numbers in Celsius or Fahrenheit, as well as PSI or KPa. It works in all kinds of weather, so there is no need to worry about rain or snow coming in contact with the sensors. Having a monitoring system for tire pressure can save you from the hassle and stress of running into an unwanted surprise.